Your outdoor space deserves and requires just as much care as the insides of your house as well. That is why our jet wash and patio cleaning in Angel service is the thing that you need to consider making use of every once in a while. By using the best techniques that are known in the industry we are going to deliver the solution you have been looking for, make sure your patio looks as good as the moment you have first built it and of course will not cost you that much at all. From removing unpleasant dirt and built-ups to weeding between the stones of your patio and pathways, our powerful equipment and tested methods are perfect for all of those things and more. Our truck mounted machines are both really efficient and deliver results that are up to all expectations and industry standards. We do not waste a drop of water and any time to finish the job we have been commissioned to handle. This is the reason why we can firmly say that our service is not only the best one to find on the market, but it is also very good for the environment – local and global. We live in a day and time that we should be environmentally conscious and that is exactly what we are. We do jet wash and patio cleaning in Angel on some of the most competitive prices that you are going to find anywhere in town. Our prices start from £2 per square metre. Please not that we require a booking of at least £60 in order to accept a job. As you can see, hiring us will not set you back that much and will surely not make you break bank. We believe that a quality sanitation service should be both efficient and accessible. 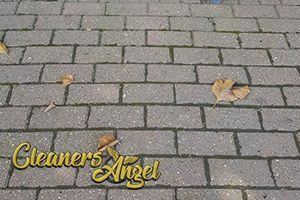 If you are seeking further information on our company, the jet wash and patio cleaning service in Angel we are able to provide you with, prices, deals and discounts of any sort, just get in touch with us. Our very helpful and knowledgeable client support can be reached via the easy to use online contact form we have set up on this website, as well as on the phone numbers you are going to see here. Just contact us now and let us provide you with the solution you deserve.